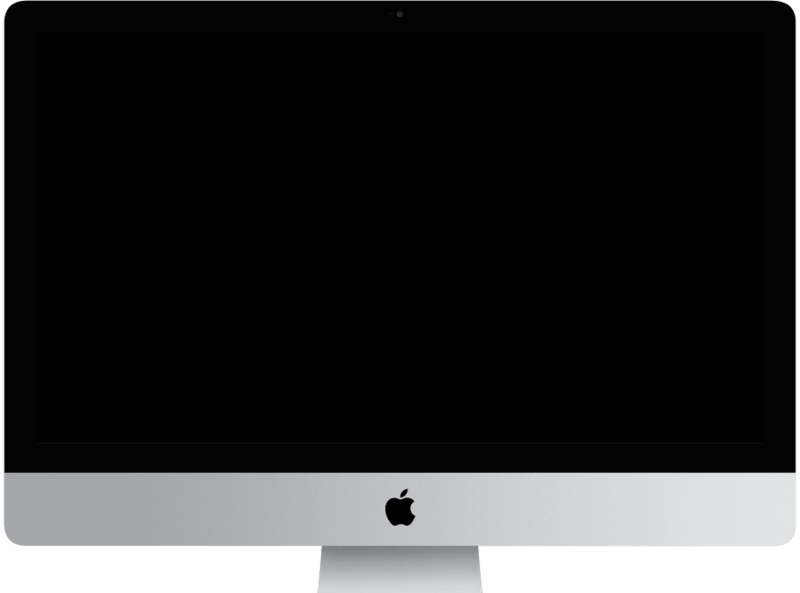 Once both devices are connected to the same WiFi network, Screenflick Remote will display instances of Screenflick running on nearby Macs. Tap the switch for the device to request control, and inside of Screenflick on the Mac, allow the remote device to connect and control Screenflick. That's it! After the remote is connected, you can use it to monitor, pause, resume, and stop recordings. 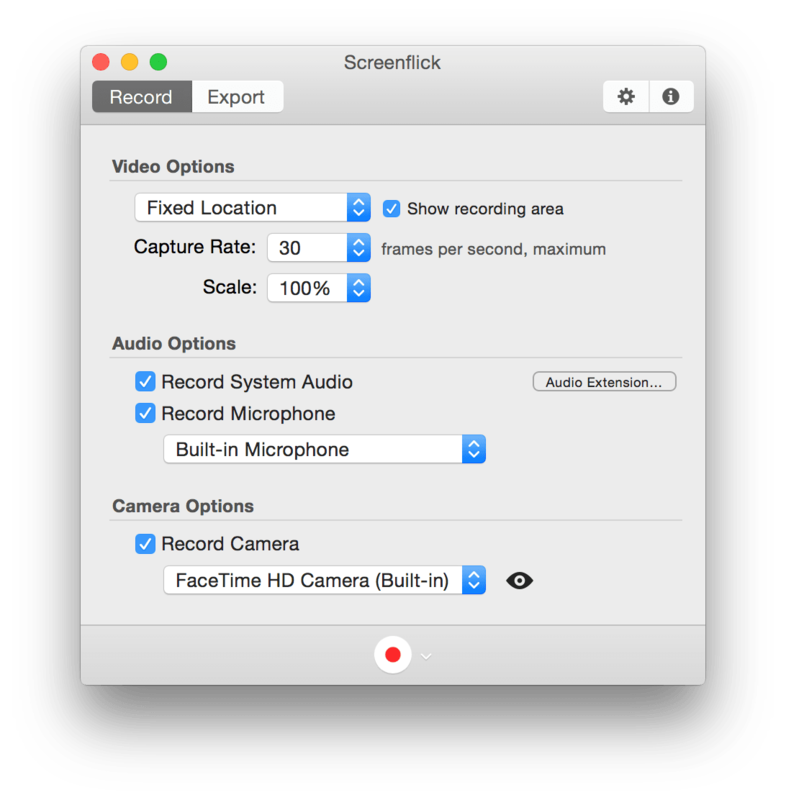 You can also start a full screen recording using Screenflick Remote. 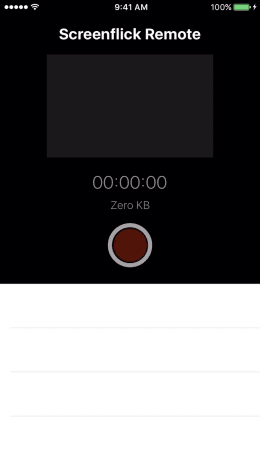 In Screenflick, click on the recording options menu to the right of the recording button, select the "Record Fullscreen After…" menu item, select "Screenflick Remote Starts" in the "After" popup, and click OK. Screenflick will then be in a delayed recording mode, waiting for the Screenflick Remote to start it whenever you're ready. 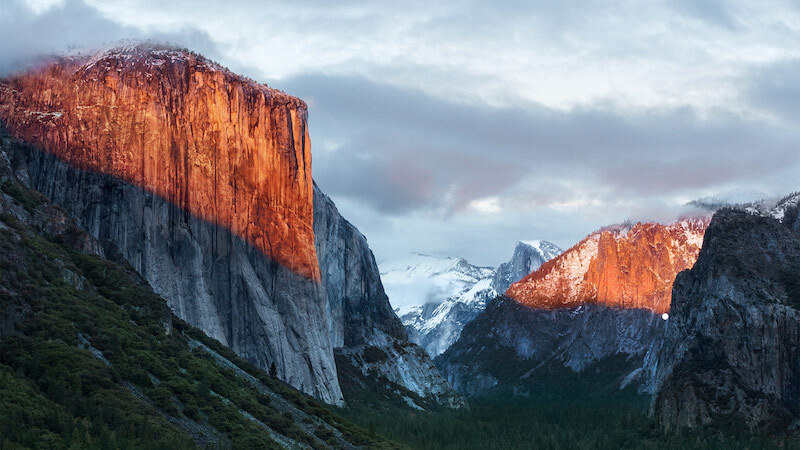 Remote connections require WiFi to be enabled on your iPhone, and Screenflick version 2.7 or later running on OS X Yosemite or later.